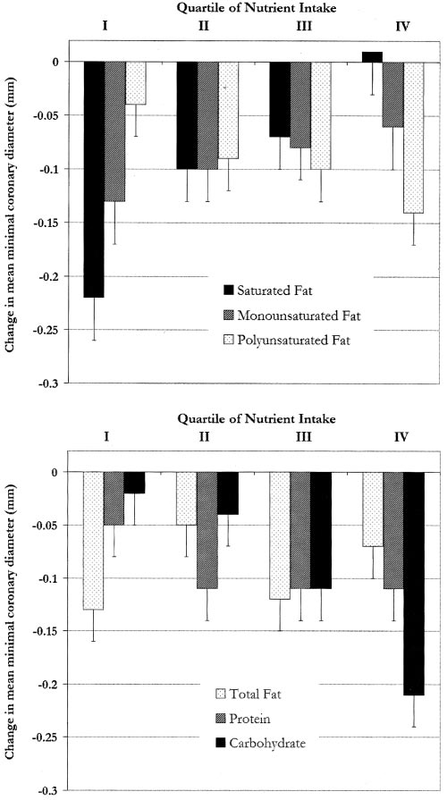 Therefore SFA (and dietary cholesterol) increases the risk of CVD and PUFA decreases the risk of CVD. 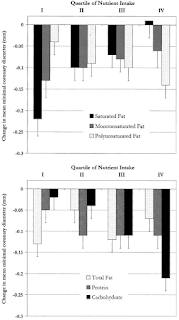 Therefore SFA increases the risk of CVD and PUFA decreases the risk of CVD. * If we go off the short term studies, replacing 10% carbohydrate with SFA will increase total cholesterol by about 0.4 mmol/l (15.2 mg/dl) and increase the Total:HDL-C ratio by 0.03. For reference a good Total:HDL-C ratio might be between 3:1 to 4:1 a bad ratio around 5:1 or 6-1. In other words replacing 10% carbohydrate with SFA increases the Total:HDL-C by less than 1%. Then if we assume we can use the Total:HDL-C ratio as a risk factor we have increased our risk of CVD by less than 2.1%. Then consider that no food in 100% SFA. 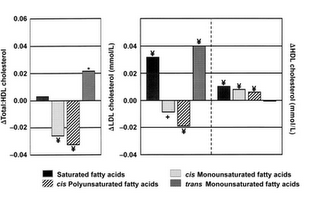 As we can see in the second graph all the fats are expected to reduce the Total:HDL-C ratio. Most of the clinical trials in this area are poorly designed. 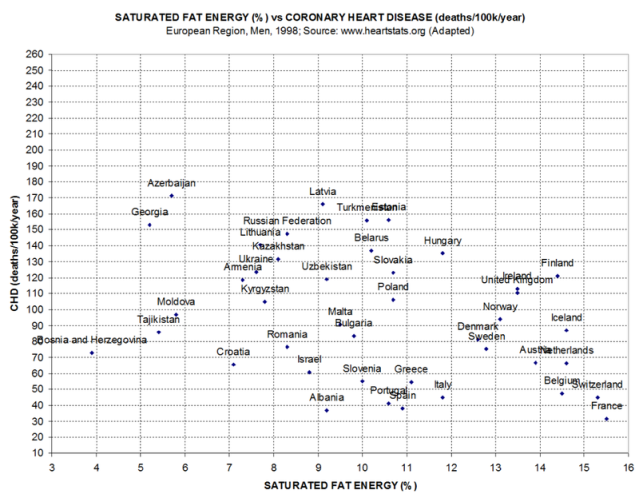 Some aren’t randomised, most aren’t isolating one variable (SFA vs linoleic acid) and are instead replacing SFA and artificial TFA with omega 6 PUFA and omega 3 PUFA, and some change the whole diet along with SFA for the intervention group. 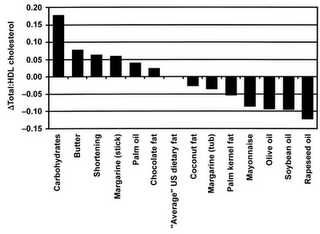 However, replacing SFA and TFA with just linoleic acid increases CVD by 16% and all-cause mortality by 13%  . 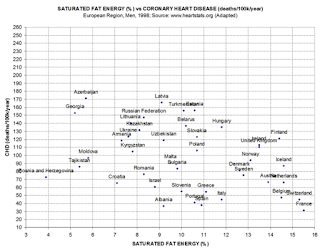 Artificial TFA has been well established to promote CVD, so one would expect the effect of replacing SFA with omega 3 and 6 PUFA would be smaller than a 22% decrease in mortality and the effect of replacing SFA with linoleic acid would be greater than a 16% increase in CVD and a 13% increase in total mortality.